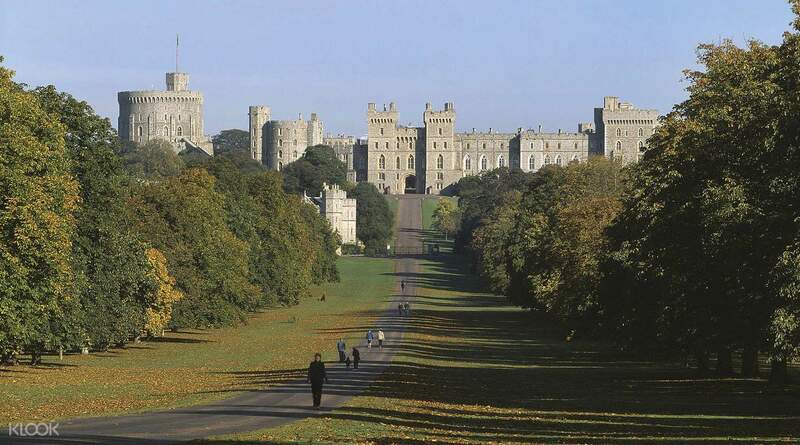 Your day trip begins in London where you’ll board a comfy, air-conditioned coach and drive west to Windsor Castle. 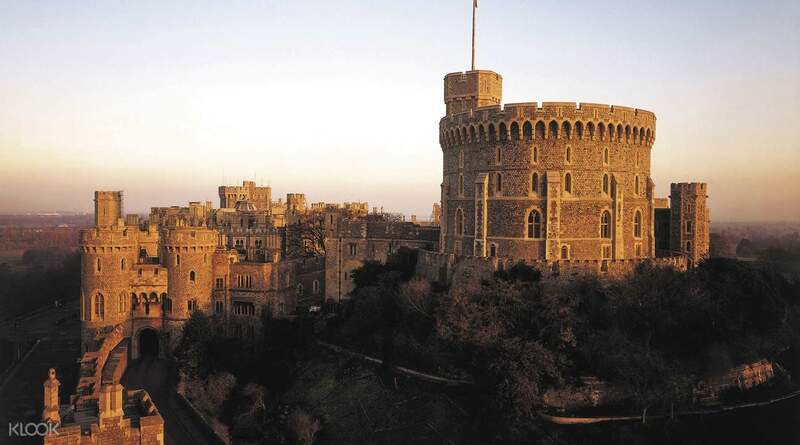 As the oldest occupied castle in the world and home to the royal family for almost 1000 years, the castle is full of fascinating British history. With your guide, wander the luxurious State Rooms and the impressive St.George’s chapel, one of the most beautiful examples of English medieval architecture. 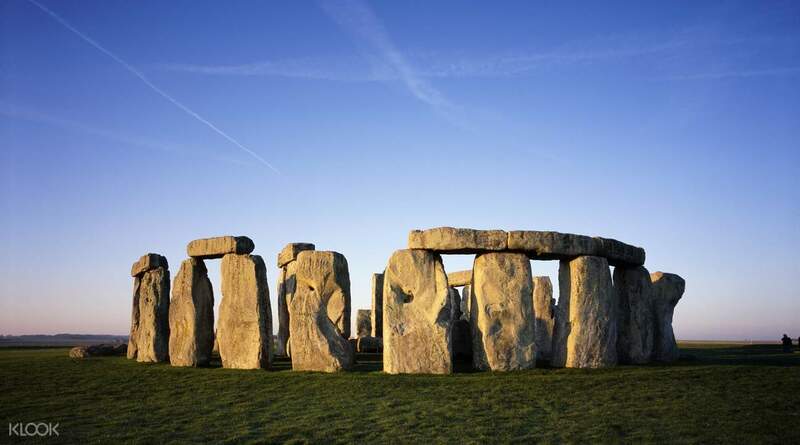 Then, drive through the rolling Wiltshire countryside before arriving at the pre-historic site of Stonehenge. As you explore the majestic stone formations, your guide will explain the spiritual significance of the stone circle and the unsolved mysteries surrounding this 5000 year old monument. Next, head to your final stop of the day, the elegant and picturesque Georgian town of Bath. There you’ll enjoy a panoramic tour through the charming narrow streets and admire the impressive Bath Abbey and the stately grandeur of the Royal Crescent. 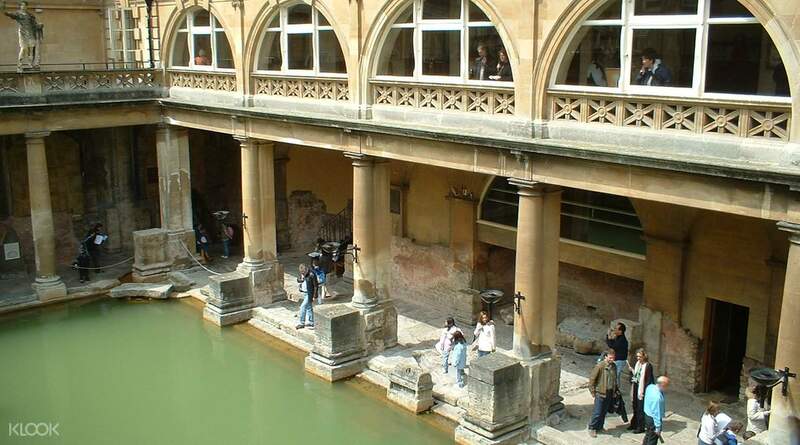 Finally, you’ll visit the world famous Roman Baths, one of Europe’s best preserved spa sites built on a natural thermal spring. After you’ve immersed in the ancient history of this site, sit back in your luxury coach and enjoy transportation back to London. The entire tour was enjoyable and fun! My only complaint, if anything, was that there was quite a walk from the subway station to the designated bus station where the tours were being loaded up. Apart from that, everything else was a stress-free experience! I’d highly recommend this booking! The entire tour was enjoyable and fun! My only complaint, if anything, was that there was quite a walk from the subway station to the designated bus station where the tours were being loaded up. Apart from that, everything else was a stress-free experience! I’d highly recommend this booking! Voucher was easy to redeem on mobile app. A very enriching tour and the guide assigned to us was very informative. The duration of the guide was well timed and allows us sufficient time to explore all attractions comfortably. Voucher was easy to redeem on mobile app. A very enriching tour and the guide assigned to us was very informative. The duration of the guide was well timed and allows us sufficient time to explore all attractions comfortably. It’s a really nice trip. We started at Victoria coach station then show the voucher to the staff of evan evans tour. After that the tour started as a plan. It will be an unforgettable tour in our life. It’s a really nice trip. We started at Victoria coach station then show the voucher to the staff of evan evans tour. After that the tour started as a plan. It will be an unforgettable tour in our life. Great tour! Our tour guide, Tobby, was very hands on and gave fun facts. This tour is perfect for those who has limited time and just want to have a glimpse of the sites. However, if you want to spend a lot of time per location, I suggest you book a different tour specifically per each because time is limited. Great tour! Our tour guide, Tobby, was very hands on and gave fun facts. This tour is perfect for those who has limited time and just want to have a glimpse of the sites. However, if you want to spend a lot of time per location, I suggest you book a different tour specifically per each because time is limited. Very nice experience. Phil is a very lively tour guide. He shares information not only about the trip, but also other things to know about the English culture The trip was scheduled and there is not a waste of time. The Queen was there when we went to Windsor Castle. Sadly, we cant go in St. George's Chapel because of the service. The Roman Bath was also interesting. We had ample time to see the Christmas Markets. Overall, an exciting trip! Very nice experience. Phil is a very lively tour guide. He shares information not only about the trip, but also other things to know about the English culture The trip was scheduled and there is not a waste of time. The Queen was there when we went to Windsor Castle. Sadly, we cant go in St. George's Chapel because of the service. The Roman Bath was also interesting. We had ample time to see the Christmas Markets. Overall, an exciting trip! memorable visits . 1st stop in Windsor castle. weekend place for queen. still holding gatherings and special functions for guest. 2nd stop in Stonehenge , Unesco heritage site. history back to 5000 years ago. must go if visiting United Kingdom. last stop at Bath with hotspring water, rich in mineral contents. has healing power. Bath has huge Christmas market, memorable to spend hours there after the hotspring. memorable visits . 1st stop in Windsor castle. weekend place for queen. still holding gatherings and special functions for guest. 2nd stop in Stonehenge , Unesco heritage site. history back to 5000 years ago. must go if visiting United Kingdom. last stop at Bath with hotspring water, rich in mineral contents. has healing power. Bath has huge Christmas market, memorable to spend hours there after the hotspring. Wonderful experience with Klook! Received my e tickets via e mail pdf almost immediate after payment. Very well organized tour by Evan Evans. Instruction as follows in the descriptions are clear. Take note Bus leave the bus terminal on time, so please be there early! Not to be miss tour! Wonderful experience with Klook! Received my e tickets via e mail pdf almost immediate after payment. Very well organized tour by Evan Evans. Instruction as follows in the descriptions are clear. Take note Bus leave the bus terminal on time, so please be there early! Not to be miss tour!